The cash doesn’t run out, it just circulates around the system unless the sellers deposit the proceeds in a non-Irish bank or spend it outside the economy (e.g. stick it all in Facebook shares). Or deposits it in an Irish bank. Or shares in an Irish bank. Its a big increase in percentage terms but maybe we have gone from 20% of normal to 30% of normal which would be a 50% increase, or from 30% to 45% which also would also be a 50%. Neither I would call a surge. Jeysus these levels are still fairly mickey mouse, but presented by the VIs as significant somehow,to draw in the naive. 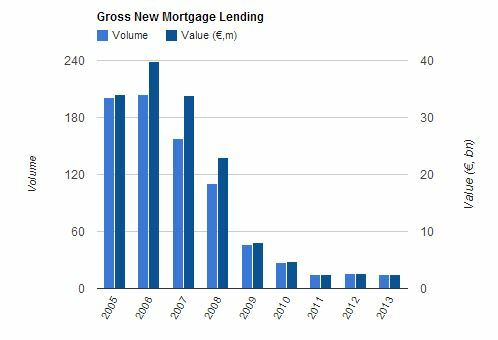 The mortgage books have been running off at about 3bn a year, despite david hall’s best efforts, while annualising these figures would probably give you 3bn in new loans. Life goes on people form households and people die off. Still doesn’t convince me anyway that property isn’t at least 1/3rd over fair value. 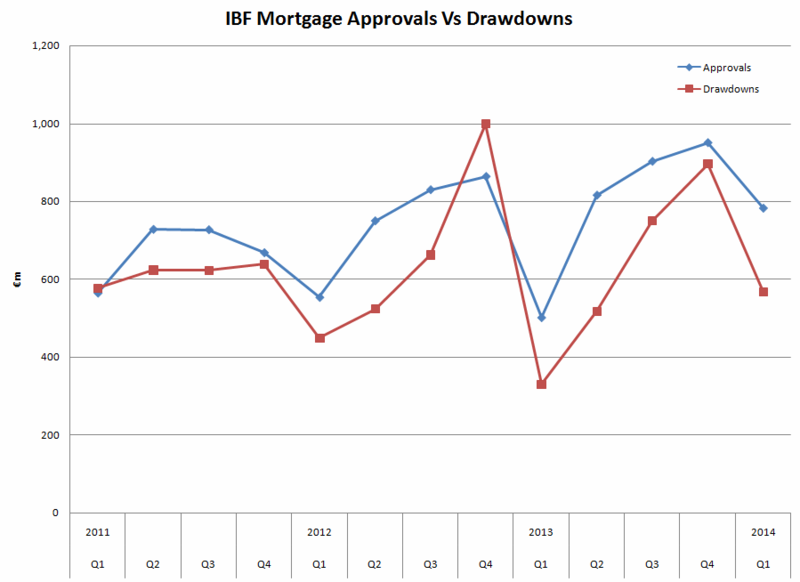 So at the rate of 2,500 drawdowns a year, if everyone in Ireland was queuing up it would take an average of about 1800 years to get a mortgage. edit: read the axis wrong. At 15k/year it’s only 300 years! Or uses it to pay down debt. OK, this is interesting. 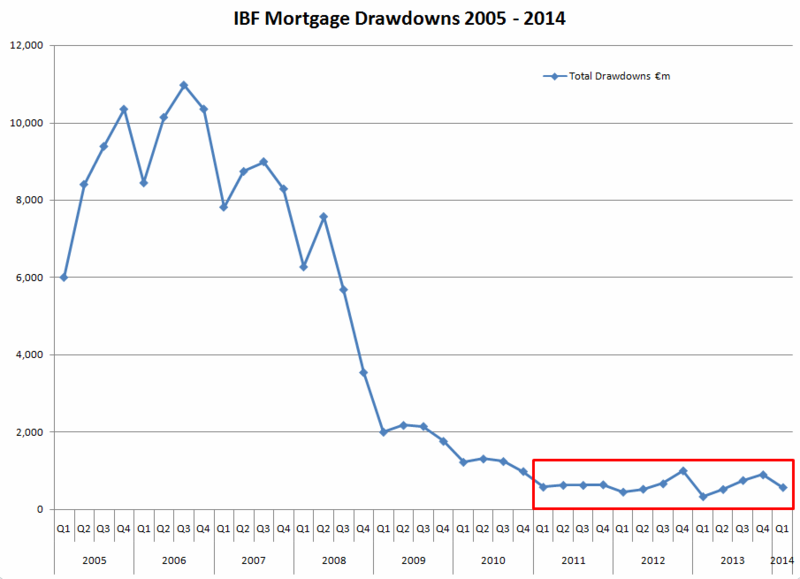 Number of drawdowns up 65% according to the Indo. But number of sales is only up 39% (from 4546 to 6318). Where are the cash buyers? Is this not the issue. Cash buyers who still need a mortgage, to a lesser LTV, are classed or reported as “CASH BUYERS” in lights. I don’t think so, no. Any size of a mortgage is still reported as a non-cash buyer. One of the most important and useful set of graphs, great stuff. If we had those graphs dating back 40 years it would be very interesting. does the data exist to create them? This shows the cash buyers are still around and far from dwindling, their numbers are increasing. 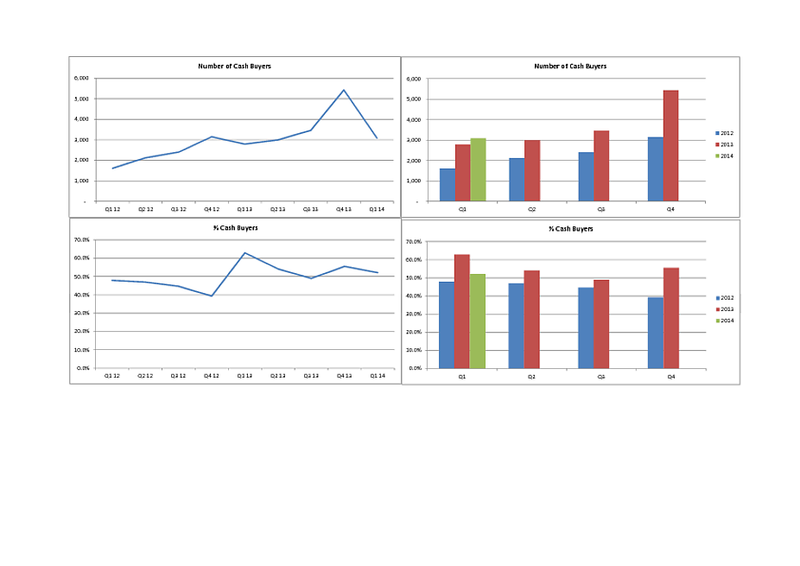 Doesn’t your graph show their numbers decreasing in the latest quarter? Where’s the emoticon for “fake shock”? Don’t worry, I’m assured the supply of cash in mattresses will never be exhausted. 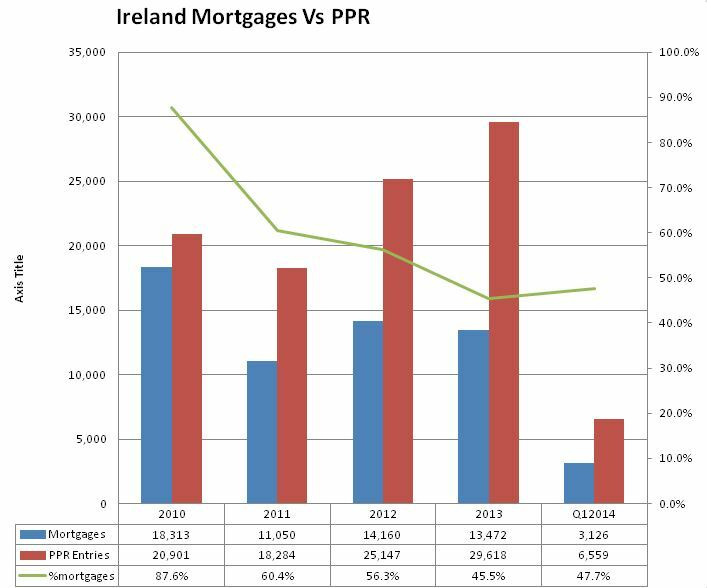 I assume the majority of the cash being released during sales of houses is going to clear down debt rather than to sustain continued sales in the property market. 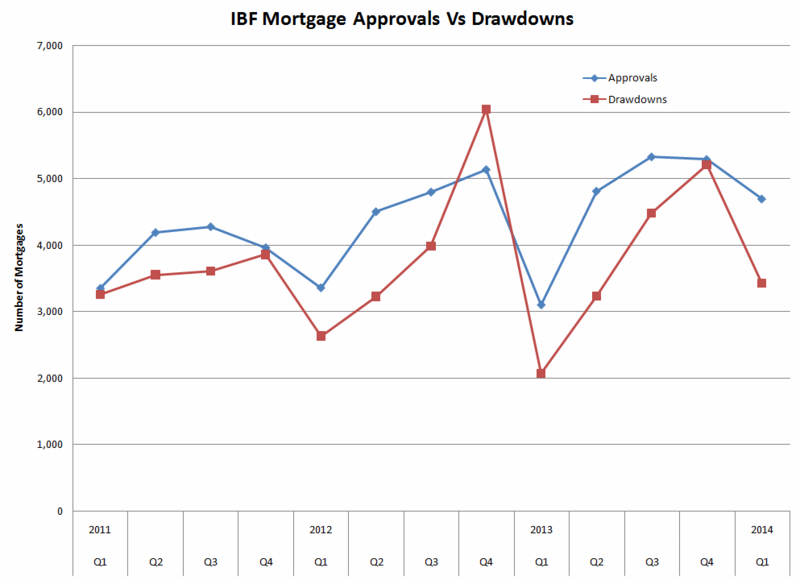 I’m frightened for the future of the Irish economy. They’re borrowing 20bn a year to promote the economy and only getting very modest increases in employment and very slow improvement in bank balance sheets. There isn’t that much cash lying around to prime the economy so I don’t see how the economy can recover using this strategy of throwing money at it as there just isn’t enough money available.